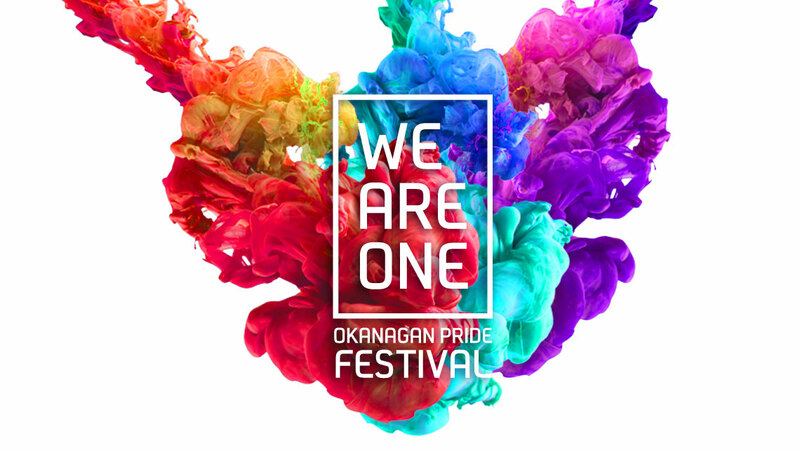 I approached the Okanagan Pride Society to collaborate on design for their yearly pride festival. 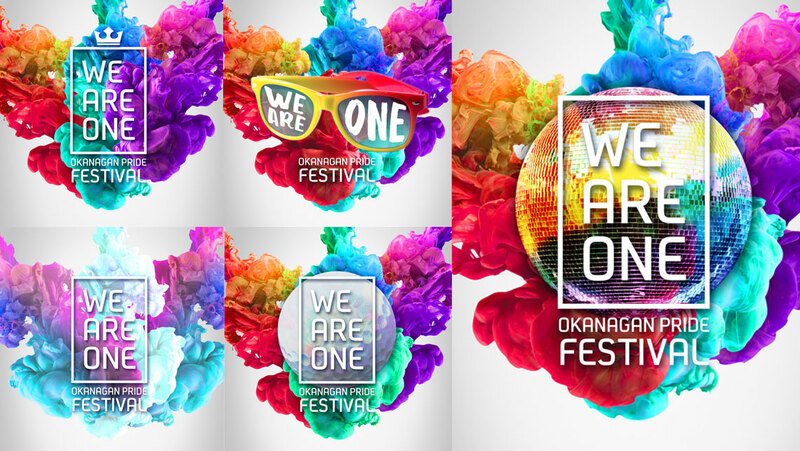 Working with their theme idea of "We Are One", I created a set of posters, ads, social media post images, and a small guide. 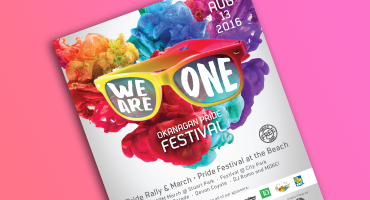 The design had to have the elements of a pride festival while looking modern and fresh. 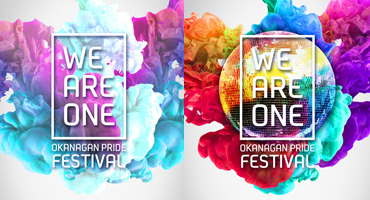 No pride festival poster would be complete without the colours of the rainbow, however, presenting those colours in an original way following the prescribed theme took a lot of careful thought and exploration. 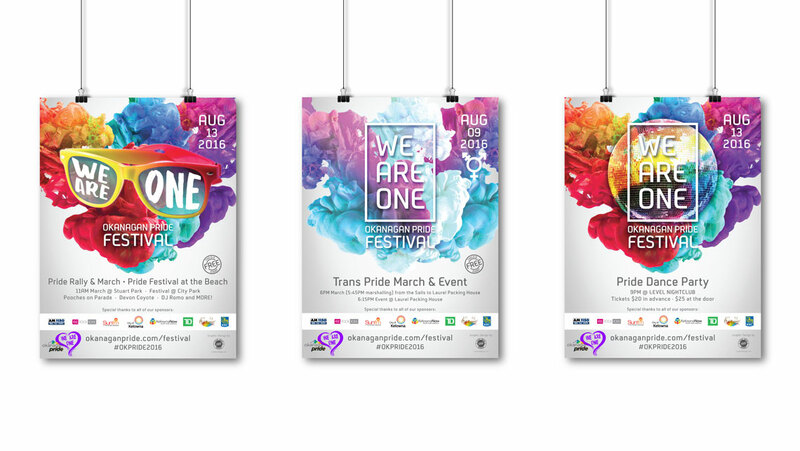 The final designs needed to represent a unification as well as the diveristy of the LGBT2Q+ community. The result was something that was eye-catching, original and versatile. 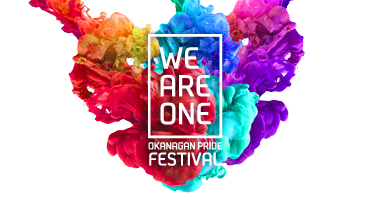 The paint clouds mixing together represented a unifying LGBT2Q+ community coming together in celebration. The modern font that was used, made all information legible and added a modern sophistication to the designs. By varying the layering of the paint clouds and incorporating different images a collection of different event designs were created using the same unifying theme.